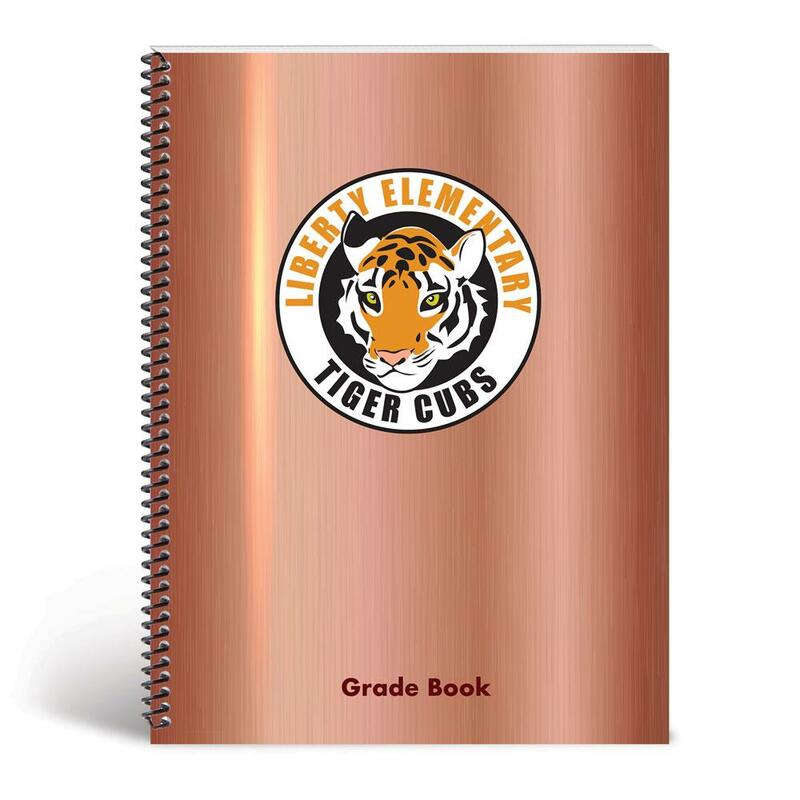 Add personalization for only $5 each! 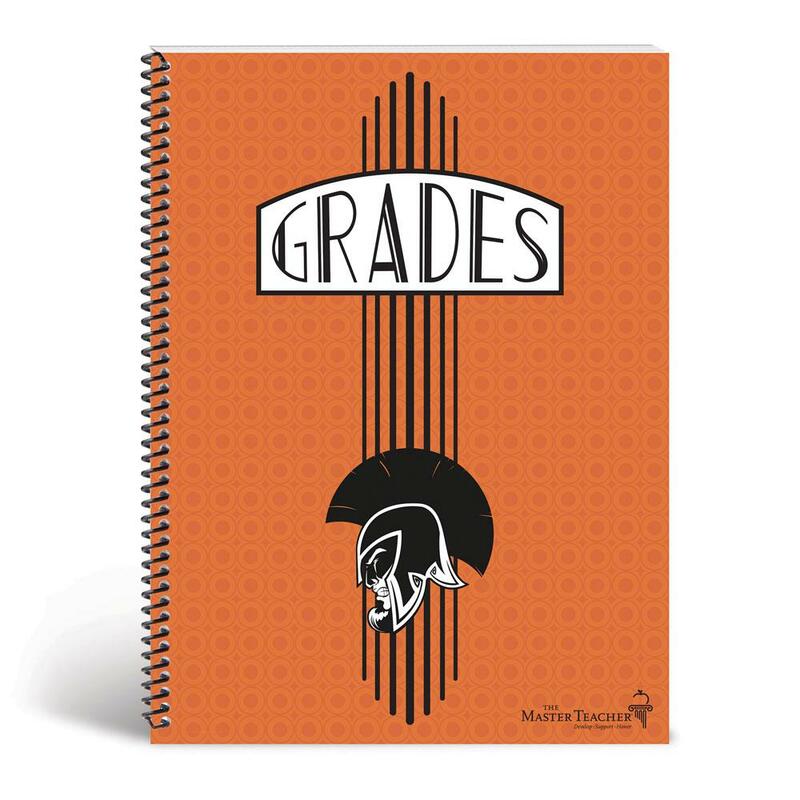 Customizable teacher's grade book with space for seven year-long classes or 14 semester-long classes. 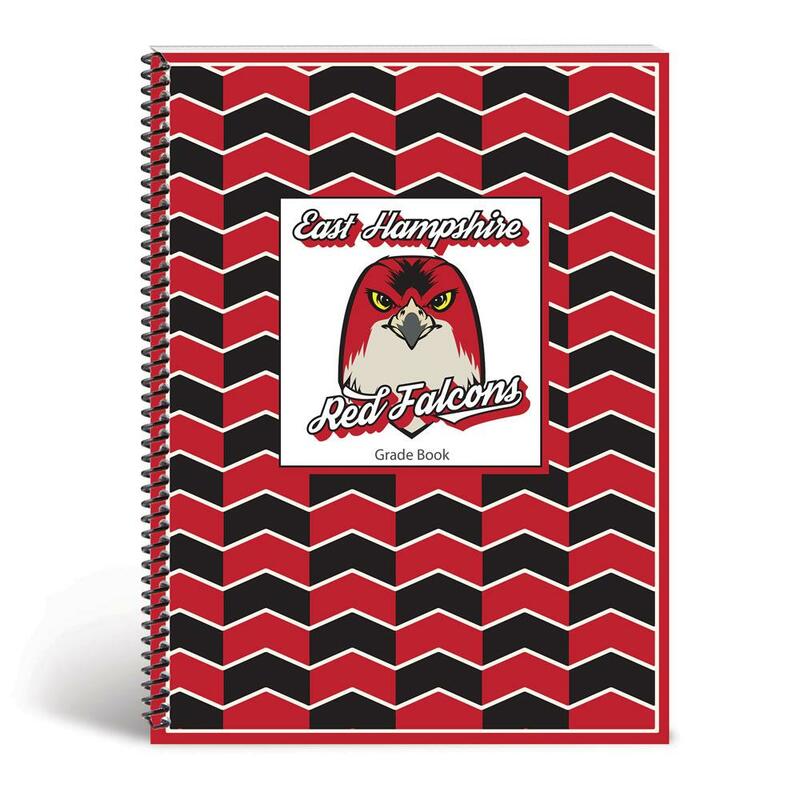 Customize the front cover with your school name or theme, school year, and mascot or logo. 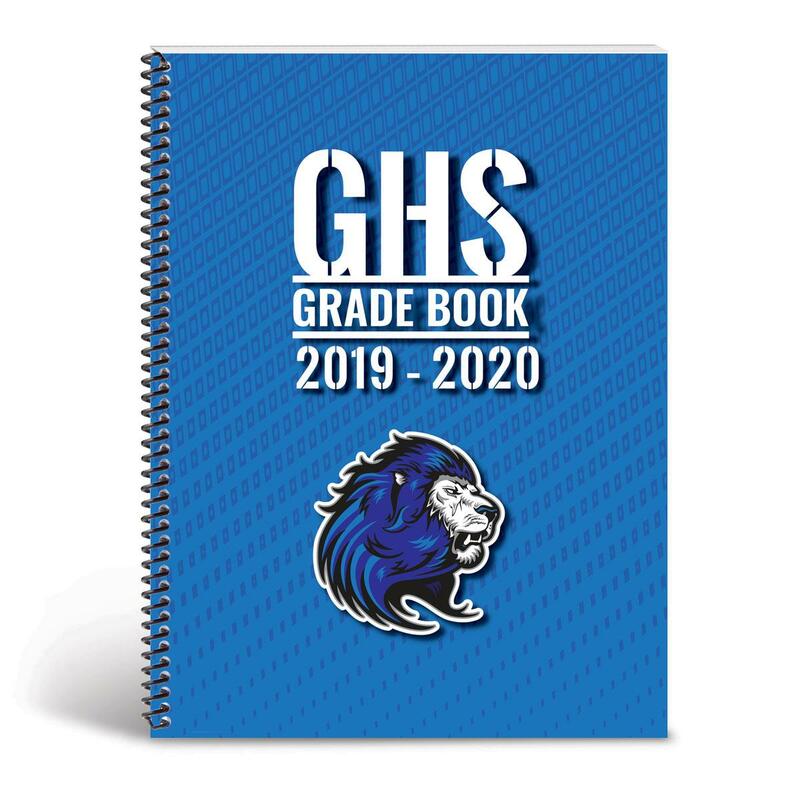 Large grading spaces with room to record attendance. 20 helpful grading do's and don'ts. Section for recording concerns and recommendations for parent conferences. 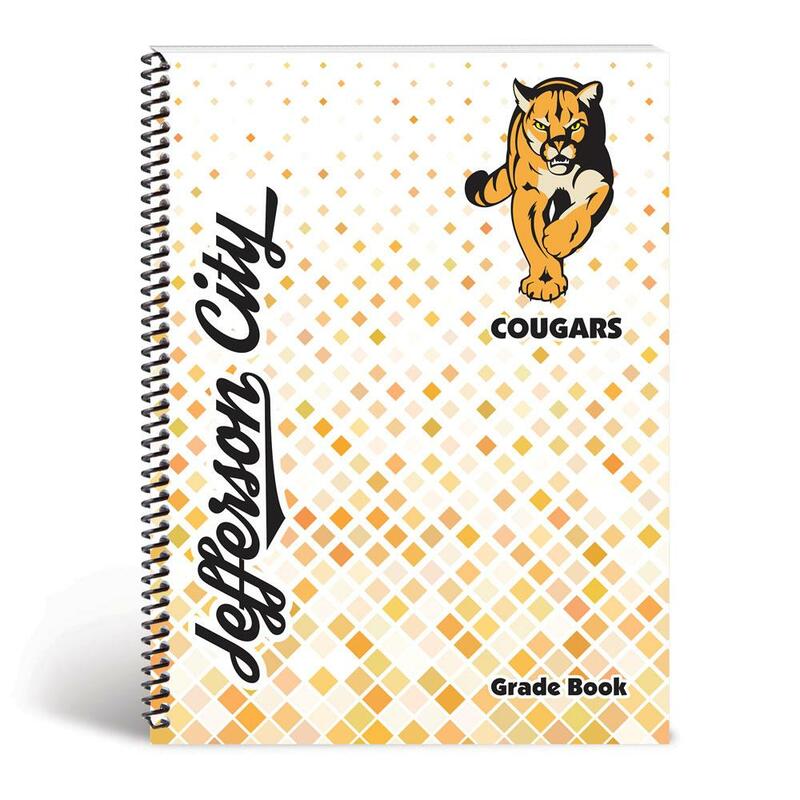 Space to record the numbers and conditions of textbooks or other items loaned to students. 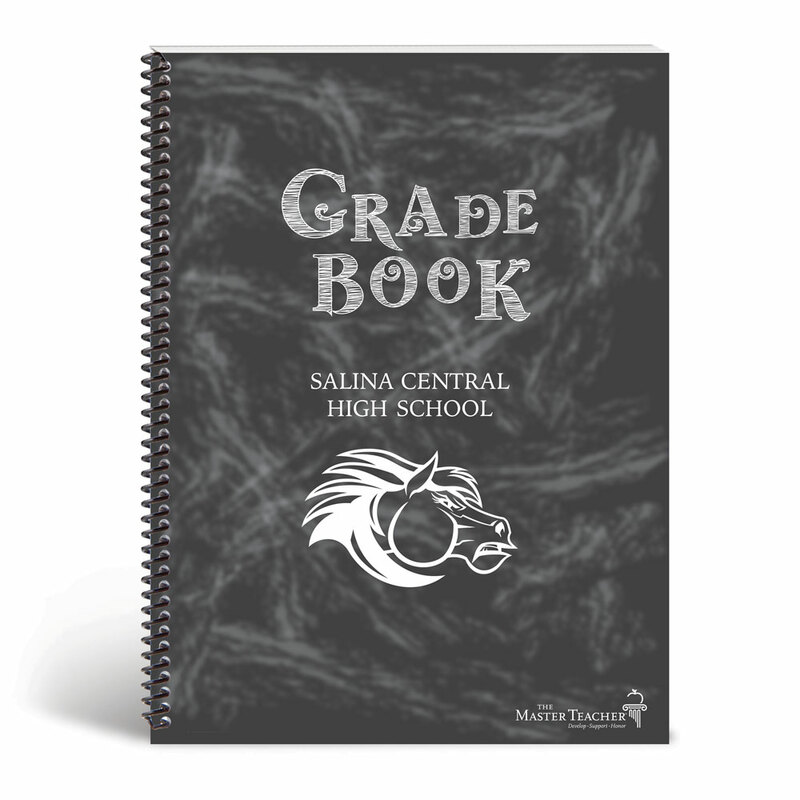 Spiral binding for easier turning and no loose pages. 9" x 12" vertical format.